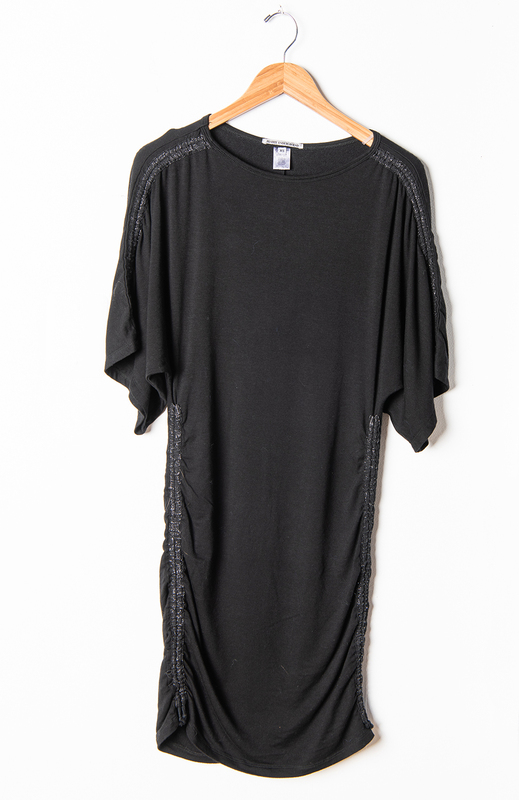 Lively Dress in soft giving jersey knit. Shirred detail on sides with sparkly taping at side seams and sleeves. Open neck. Forgiving fit.